Provide college students with the tools and support they need to succeed in recovery. SAFE Campuses is a special interest area for SAFE Project. We want to ensure adequate recovery support services are available on every college campus across the nation, and provide college students with the tools and support they need to succeed in the lifelong journey of addiction recovery. 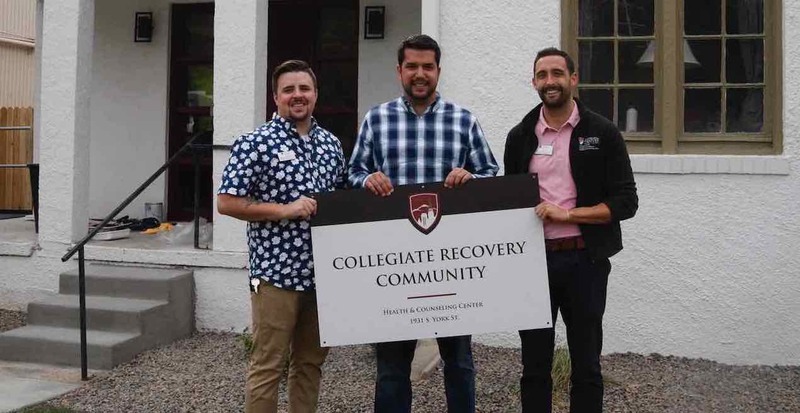 The University of Denver opened its Collegiate Recovery Community (CRC) in August 2018. SAFE Project worked with the Association of Recovery in Higher Education (ARHE) to support the project. (Left to right) Dylan Dunn, CRC Coordinator; Tim Rabolt, ARHE Executive Director, and James Larcus, Project Manager for Strategic Initiatives, UD reveal the new recovery center. This program promotes healthy living and empowers college students in recovery to be positive leaders on campus and in life. 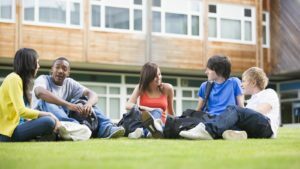 SAFE Project encourages the creation of collegiate recovery programs (CRPs) on campuses that do not yet have them, and will help strengthen the program on campuses that do. SAFE partners with the Association of Recovery in Higher Education (ARHE) and is eager to work with other organizations that support this important effort. 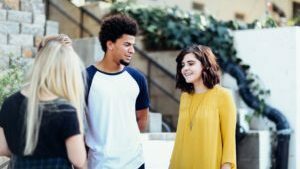 In coordination with ARHE, SAFE has developed a list of best practices for collegiate recovery programs that may be tailored to an individual campus. The program will make these practices available to all institutions of higher learning so they may develop or improve their programs. Colleges and universities will benefit from knowing where their programs stand relative to other institutions. SAFE is currently embarking on the Collegiate Recovery Leadership Academy in partnership with ARHE. This exciting initiative will help develop leadership skills among students in recovery, which will ultimately improve collegiate recovery on their campuses. If you, or an organization you work with, is interested in sponsoring a Collegiate Recovery Leadership Academy, becoming a mentor or donating to the SAFE Campuses program, contact us for more information. In collaboration with the Association of Recovery in Higher Education (ARHE), SAFE Project will host 2-day regional Campus Recovery Leadership Academy convenings nationwide from 2018 to 2019. The Academy includes students who are currently involved in a Collegiate Recovery Program (CRP) or who are interested in developing recovery support services on their campuses. The Academy will provide students with the information needed to create and strengthen efforts on their campuses, and train them to be effective servant leaders. In addition to the training, students will develop and implement projects on their campuses with the guidance of mentors who are servant leaders themselves. Nearly 1 in 4 U.S. college students meet the criteria for substance abuse or dependence, which is 2½ times the proportion of the general population. As we are successful in efforts to aid those who have been affected by the opioid epidemic, SAFE Project Campuses are designed to grow the number of young people living in recovery and leading productive lives free of the devastation of addiction. For those students in recovery who are enrolled, or seeking to enroll, in college or university, maintaining recovery is vital to the success of their educational pursuits, and ultimately their lives. CRPs and other on-campus recovery support services are vital and valuable tools for students to successfully balance both recovery and education during a critical time of their personal and professional development. In collaboration with the Association of Recovery in Higher Education (ARHE), S.A.F.E. Project will be hosting 2-day regional Campus Recovery Leadership Academy convenings nationwide. S.A.F.E. Project announces collaborative effort on college campuses nationwide, as part of its “S.A.F.E. Campuses” initiative.